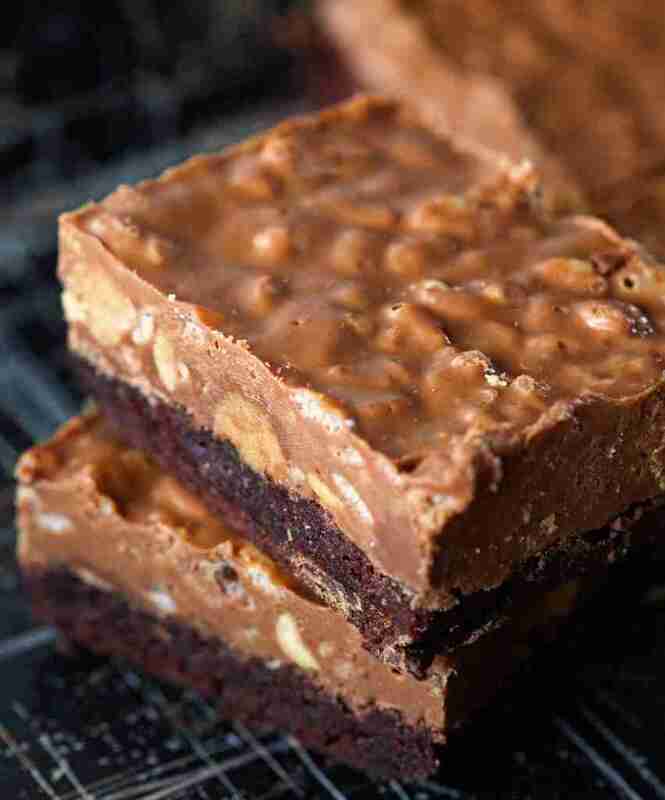 Brownies like cookie bars can be made in different ways, and as fans of using peanut butter we like to try many different recipes that use peanut butter including this one which was very rich and wonderful. The Crispy Peanut Butter Cup Brownies ingredients are listed below. The Crispy Peanut Butter Cup Brownies ingredients and cooking instructions can be viewed through the link below.